Here are some of the appreciative comments which have been sent to me after Murder events. 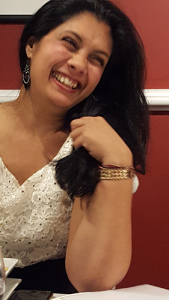 Immediately below there are some personal testimonials from people who’ve celebrated birthdays, and other private events… and further down the page is a selection of feedback from business / corporate clients. Of course, if you are one of the Murder Master’s Victims or Suspects, you might like to write a testimonial about your killer experience. You can do this using this form, or posting your rating and review on the Murder Master’s Facebook Page. 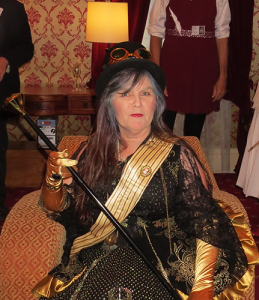 Organising events is not my forte and having decided on a Murder Mystery dinner for my 50th, I was getting rather frazzled trying to find a venue, accommodation, dinner and a murder host that ticked all my criteria. Bryan took the whole venture on and did what he does best. He sourced a beautiful venue with the right ambiance, liaised with the caterers, handled the ticket bookings and accommodation and all within the allocated budget. 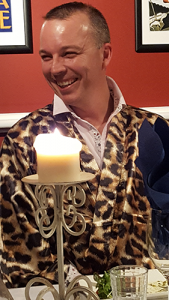 On the night of the party, he greeted and mingled with my guests, ran the Murder Mystery, dealt with any unexpected dietary issues, took photos (an added bonus) and escorted us to the pub for ongoing celebrations. And I got to relax and enjoy! I can’t recommend Bryan highly enough and will certainly be back to experience more of his fabulous talent. The time went very quickly and we had loads of fun. There was nothing I didn’t like – it was very a very enjoyable way to spend time together with friends. 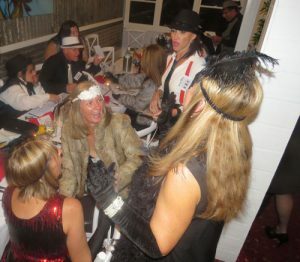 A great night that was enjoyed by all the guests. I think the photos Bryan took are a great testimonial of the fun we were having. Was great fun and kept everybody very interested (and busy!). The time went super quickly! I would highly recommend the murder mystery. We all had a ball! Fun to dress-up, and try to solve the mystery. 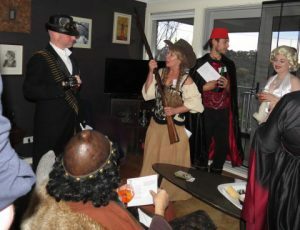 Fun night, guests enjoyed dressing up and getting into character. A different, entertaining option for a dinner/celebration! It was different, fun, made you think, was a new way to engage with people we have dinner with all the time, it was well organised and clever! This was a fun and engaging evening in beautiful surrounds. The event was really well run and hosted. Well organised fun event where we didn’t have to do anything apart from stay alive!! We had an awesome time. Bryan was very approachable and was able to amend the numbers of people at short notice. 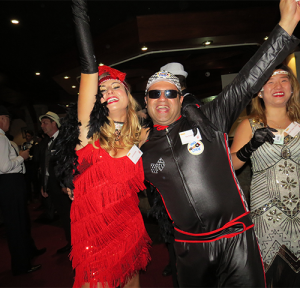 Bryan ensured that the night flowed smoothly and that everyone had a great time. Bryan’s persona was excellent for the role he played in orchestrating a murder, gently prodding people in the right direction as required. For our annual conference this year we wanted to do something special, a Murder Mystery dinner, and the Fairmont hotel recommended us Bryan. Well, I cannot thank them enough for putting me in contact with this awesome man. He helped us organizing a great night, tailored to our needs and our strict deadlines, where both young and older people had a lot of fun. Everyone was dressed up for the occasion and throughout the night Bryan and his murder mistress assistant ran the event smoothly. Thanks again Bryan for the thrilling night. 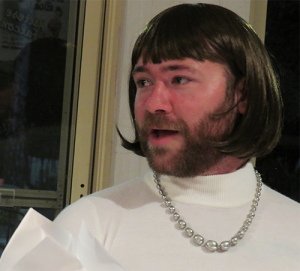 If anyone is thinking about a Murder Mystery night, Bryan is your man and trust me, you won’t be disappointed! 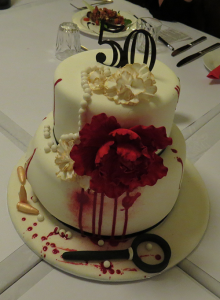 A fabulous evening of food, fun, and murder. Well organised lot of laughs. 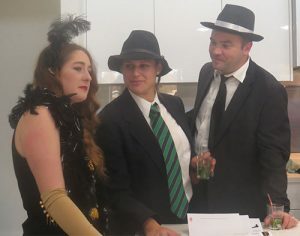 Our team had a great experience dressing up, deceiving, analysing and trying to figure out the story. It was very entertaining. We enjoyed it all. As the organiser I was a little concerned about the response from my colleagues. 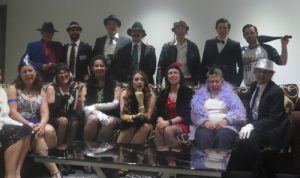 As it happens they loved every aspect of the lunch and murder mystery. 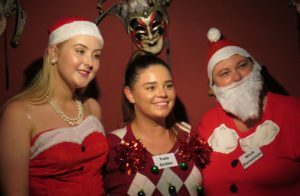 Dress up, suspense and lots of laughs. It went too quickly. 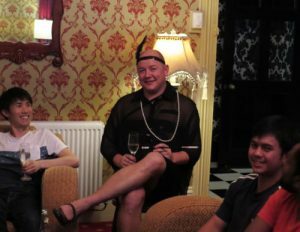 We had a lot of fun and it was a great team building exercise, really enjoyed the dress up and Bryan was an excellent host.